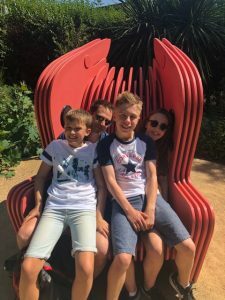 We recently decided to make the most of the sunny weather and visit Chester Zoo as a family for the first time. 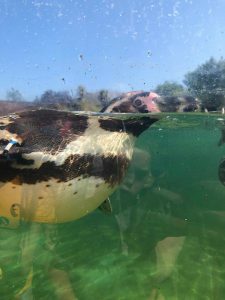 We timed it to coincide with the ‘Wild Worlds Festival’ which the zoo has running until the end of September where visitors are encouraged to ‘discover new spaces, experience head turning moments, breath taking experiments and pop up performers’. And of course there are the old faithful animals there to impress and entertain you! We saw the elephants first and I have to say that I fall in love with these elegant, enormous creatures more and more each time I watch them. Sadly we couldn’t spend all day watching them so we made our way around the park using the map and the app which was really helpful! There are many things that I love about Chester Zoo. 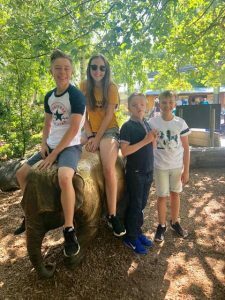 At a visitor level, the different areas are well posted, the information given about the animals uses child friendly language whilst also giving technical info and my step son was fascinated by how endangered each animal was. He was in charge of letting us know the danger level for every animal we saw and it promoted some really great conversations. Accessibility for visitors with disability is great with consideration for those with visual impairment, autism and physical disabilities. Find our more on their info page. 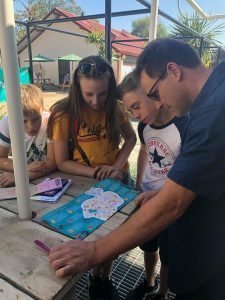 They’re even one of the few attractions in the UK to have a ‘changing places’ toilet with hoist facility meaning that physically disabled visitors can have a day without worrying about inadequate toilet facilities. Things like that would have never crossed my mind before I had Harry but they really do make a huge difference to the success of a day which always requires careful planning and comes with a hint of apprehension. 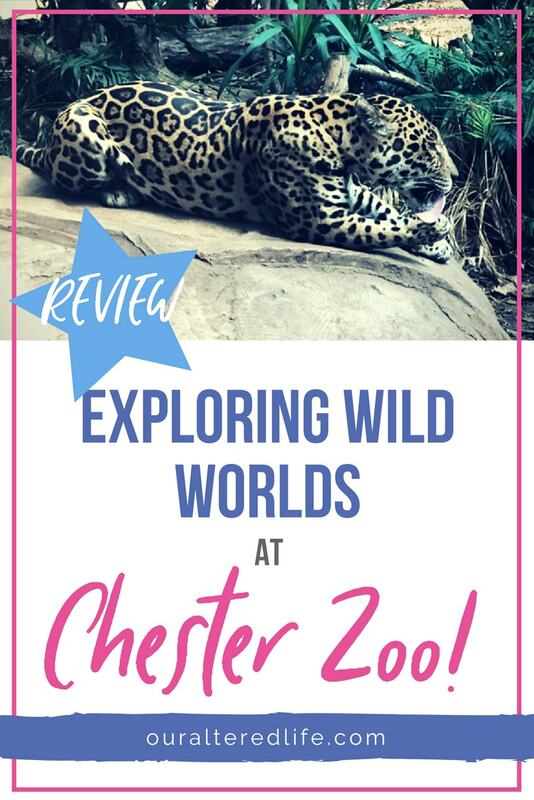 On a wider level, I love how involved Chester Zoo is with conservation. 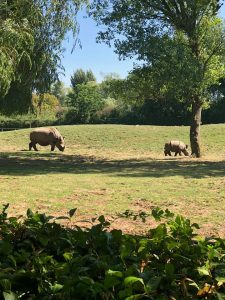 There are a number of projects within the zoo such as identifying factors that impact on the breeding potential of black rhinos in zoos. 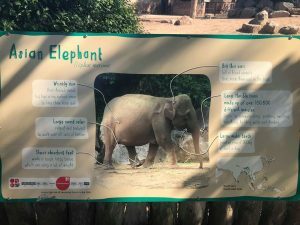 Outside of the zoo there are global projects to monitor, reintegrate and support a wide range of animals in many parts of the world. 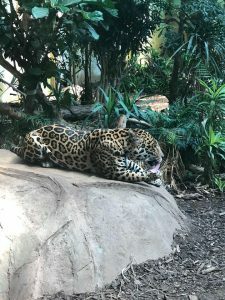 The lengths that this zoo goes to to research and protect animals is incredible and makes you really feel like you are helping them to make a difference with your admission prices and donations. 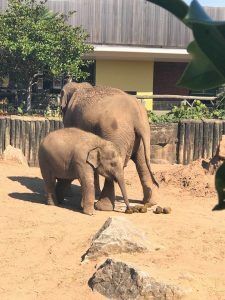 After a birthday weekend in Nottingham, Harry tired quickly and became quite distressed after lunch so we did cut our visit a little shorter than we had planned but we had time before hand to see the gorgeous jaguar, lions, rhinos, giraffes, penguins (another part I could have stayed at all day!) to name but a few. 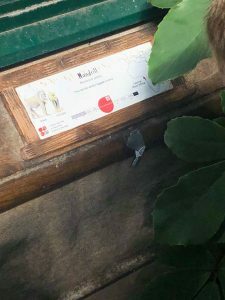 We also found a few of the nine Wild World exhibitions dotted around the park – some obviously positioned and others tucked away a little. The Botanist LAB had some weird and wonderful botanical plants but the ‘lab’ was closed and so we didnt stay here for long or really interact with it as much as the others. 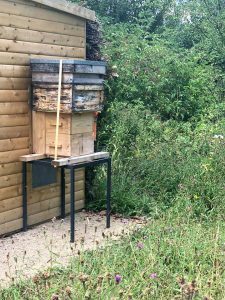 The Natural Honey Bee Garden gave loads of information on the natural comings and goings of the humble honey bee and the observation windows open up the world inside the hive, through which we got a close-up view of the fascinating creatures hard at work! And yes, we all agreed that we preferred bees to the insect terrorist wasps! The Dormouse Garden was good fun. 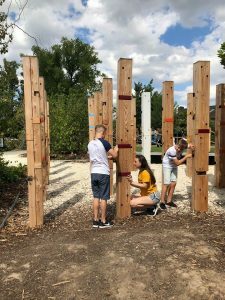 Twenty one tall posts had tubes throughout them. Some gave audio information and others revealed images of the rare, sleepy and very cute rodents. You could tell which ones were which from the “awwww” reactions of the kids. I particularly liked this one as it was great for all ages and gave some fascinating information about the characteristics and importance of the special little creatures. Awe-Kids is a fun, walk-through, mini sensory safari, which showcases some gorgeous plants that often go unnoticed. 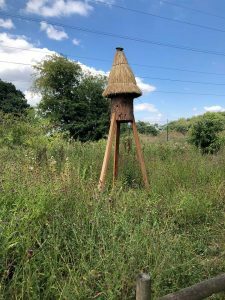 There was also some weird and wonderful displays using sounds and original music created from directly recording the audio from plants at the zoo! This provoked some pretty in depth science conversations and some googling of extra info but both Andrew and I loved that it really got the children thinking about plants differently. The Talking Chair and Flamingo Garden. Andrew and my step daughter Bea found one of three beautifully sculptured, over-sized, wing back chairs to sit and relax in which they listened to flamingo facts from speakers in the wings of the chair. Bea really enjoyed telling us all about why flamingos are pink. 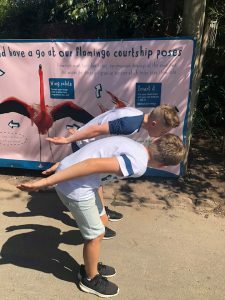 Meanwhile, the boys emulated the mating rituals of flamingos and made me laugh a lot! We also got a chance to hear rapper Jon Chase perform his Live Science Rap which sounds a bit dry but was really good! 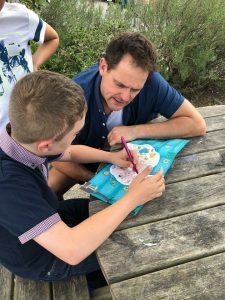 Adults and children alike were entertained and informed by the performance and you can watch Jon in action below! We took a picnic with us and there are loads of picnic areas to choose from. Typically, we chose the grass but it was lovely to sit and have the discussions about our favourite parts of the day so far and ask the questions we had thought about as we had seen the animals and read the information. As I mentioned, Harry lasted about 4 hours before we decided that he needed to leave but in that time we covered such a lot of the park that we didn’t mind too much. 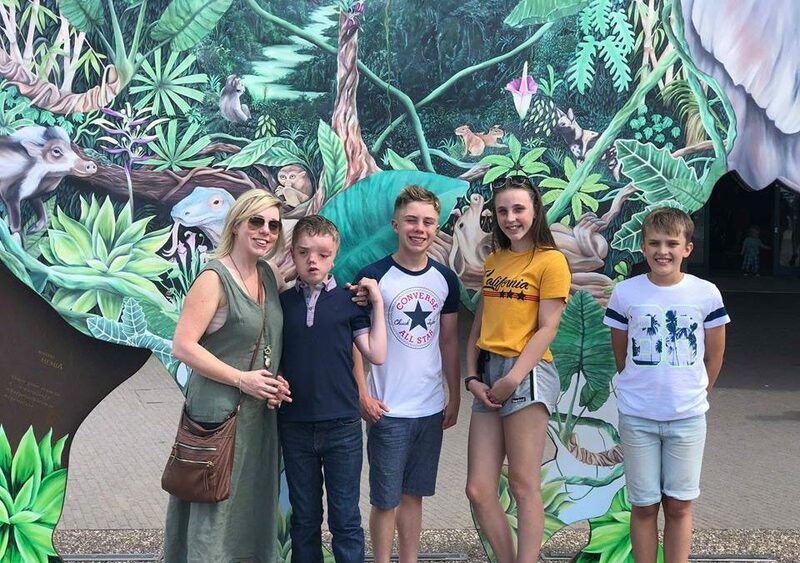 I am very lucky that Oliver and my step children never resent the fact that days out can be cut short sometimes as it always plays on my mind but it certainly didn’t spoil our day out at Chester Zoo and we’re looking forward to going back maybe after a less hectic weekend for Harry. Entry to the zoo was gifted in exchange for a review. All views are my own. Want to visit? Pin this for later!